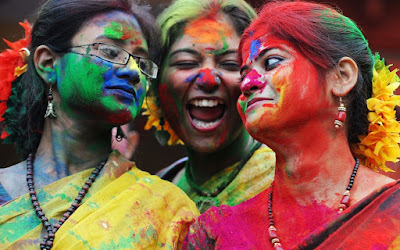 At the end of March many of us celebrated Holi and Easter. Holi is a spring festival, also known as the festival of colors. 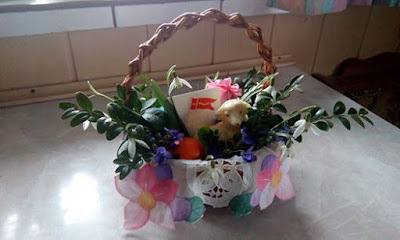 The festival signifies the victory of good over evil, the arrival of spring, end of winter, and for many a festive day to meet others, play and laugh, forget and forgive, and repair broken relationships, and is also celebrated as a thanksgiving for a good harvest. Easter, also called Pascha or Resurrection Sunday, is a festival and holiday celebrating the resurrection of Jesus Christ from the dead, described in the New Testament as having occurred on the third day of his burial after his crucifixion. It is the culmination of the Passion of Christ, proceded by Lent, a forty-day period of fasting, prayer and penance.